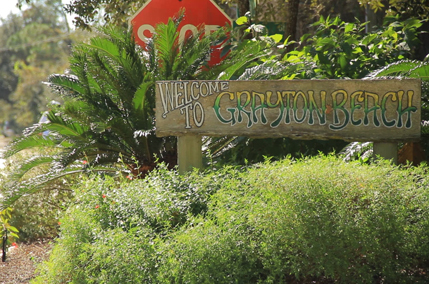 Grayton Beach was the first community established on Scenic Highway 30A and can be credited with the evolution of the vibrant corridor of unique beach communities now bordering the Gulf Mexico. Grayton Beach possesses an historic charm that is not duplicated anywhere else along the Beaches of South Walton. Erin Oden and Coastal Luxury specialize in the listing and sales of Grayton Beach real estate. Located along the Gulf of Mexico between Pensacola and Panama City on Scenic Highway 30A, Grayton Beach features single family homes and home sites as well as town homes located close to the beach. Grayton Beach features an eclectic mixture of architectural styles where quaint beach cottages border modern homes, but whatever the style they are all designed to allow occupants full enjoyment of the unique coastal landscape. Western Lake is the largest of 11 coastal dune lakes in South Walton and one of 15 found along the Gulf of Mexico in Northwest Florida. A public dock on Western Lake provides convenient access for boating and fishing. Grayton Beach State Park preserves much of the shoreline of Western Lake as well as a stretch of beach along the Gulf of Mexico, and features an extensive nature trail. There are many treasured local establishments for residents of Grayton Beach to enjoy. One of the most popular destination spots on 30A is the “Red Bar” famous for casual food, drinks, live music and fun.